Our Harry Potter items will allow you to immerse yourself in the world of Harry Potter and the Wizarding world. We have costumes for those who can't wait to enter their forst year to those who are working Weezley's Wizard Wheezies or the Ministry of Magic. We have your ticket to a magical world! For almost a decade, fans the world over have experienced the magic and wonder of the Harry Potter™ films. Now, for the first time, fans can enjoy a collection of truly authentic Harry Potter costume reproductions. Each piece has been thoroughly researched at the Warner Brothers facilities in England and then meticulously reproduced using the films' original wardrobe components and props as reference. Each of these collectible costumes looks, feels and fits exactly like the original worn on-screen. In addition, every piece in the Harry Potter Film Replica Costumes Collection bears a full color hand tag - guaranteeing its authenticity as a licensed collectible. Our Voldemort Latex Costume Mask from Harry Potter comes is Standard Size. This Voldemort Latex Costume Mask is hit with any costume. Our Deluxe Gryffindor Costume Robe from Harry Potter comes in Small, Medium and Large in children sizes. Our Deluxe Gryffindor Costume Robe includes the robe with clasp. Our Dementor Child Costume Hands from Harry Potter comes is Standard Size. These Dementor Child Costume Hands are a hit with any costume. Our Deluxe Quidditch Costume Robe comes in Small, Medium and Large in children sizes. Our Deluxe Quidditch Costume Robe includes the robe. Our Gryffindor Costume Robe from Harry Potter comes in Small, Medium and Large in children sizes. Our Gryffindor Costume Robe From Harry Potter includes the robe and clasp. Our Deluxe Slytherin Costume Robe from Harry Potter comes in Small, Medium and Large in children sizes. Our Deluxe Slytherin Costume Robe includes the robe with clasp. Our Dobby Latex Costume Mask from Harry Potter comes is Standard Size. This Dobby Latex Costume Mask is hit with any costume. Our Syltherin Costume Robe from Harry Potter comes in Small, Medium and Large in children sizes. Our Syltherin Costume Robe From Harry Potter includes the robe and clasp. 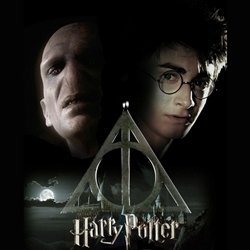 In Harry Potter and the Deathly Hallows Audiobook it all comes down to this — a final face off between good and evil. You plan to pull out all the stops, but every time you solve one mystery, three more evolve. In Harry Potter and the Half-Blood Prince Audiobook, the war against Voldemort is not going well: even Muggle governments are noticing. In Harry Potter and the Goblet of Fire Audiobook, Harry Potter returns to Hogwarts for his fourth year of magical adventures in Harry Potter and the Goblet of Fire. In Harry Potter and the Chamber of Secrets Audiobook, the Dursleys were so mean that hideous that summer that all Harry Potter wanted was to get back to the Hogwarts School for Witchcraft and Wizardry. Includes: Robe. Does not include shirt, pants or shoes. This is an officially licensed Harry Potter product. Our Harry Potter Costume Wand are a great accent to any costume. The Harry Potter Costume Wand comes just like it is shown. Our Harry Potter Costume Wand with Light and Sound are a great accent to any costume. Our Harry Potter Costume Golden Snitch from Harry Potter's Movie is great for any costume. The Harry Potter Costume Golden Snitch comes just like it is shown. The Hogwarts Gryffindor Beanie is made of acrylic and features the Gryffindor House Coat of Arms patch. This officially licensed piece is a great addition to any Harry Potter ensemble. This beanie is made from acrylic yarn and features the Hufflepuff House Coat of Arms patch. This officially licensed piece is a great addition to any Harry Potter ensemble. Our Harry Potter Glasses are fully licensed, metal framed Harry Potter Glasses with plastic lenses. In Harry Potter and the Prisoner of Azkaban Audiobook, for twelve long years, the dread fortress of Azkaban held an infamous prisoner named Sirius Black. In Harry Potter and the Sorcerer's Stone Audiobook, Harry Potter has no idea how famous he is. In Harry Potter and the Order of the Phoenix Audiobook, there is a door at the end of a silent corridor. And it's haunting Harry Potter's dreams. This officially licensed scarf is made from acrylic yarn and features the Hogwarts Coat of Arms patch. Makes a great addition to any Harry Potter costume. 56 inches long. This officially licensed set is made from acrylic yearn, both the hat and scarf feature the Hogwarts Coat of Arms patch. Makes a great addition to any Harry Potter costume. Scarf is 56" long. This black Hogwarts student hat has an embroidered shield that has the Hogwarts "H" in the center. This is an officially Harry Potter product. Includes: Robe. Does not include shirt, tie, glasses, pants or shoes. This is an officially licensed Harry Potter product. Includes one broom that is approximately 3 feet long, the broom stick is made of hollow plastic, with plastic bristles, and soft flexible plastic side accents. This is an officially licensed Harry Potter product. Harry Potter Gryffindor Necktie is a durable, smooth polyester construction features the leonine colors of Godric Gryffindor’s house, while the signature coat of arms is emblazoned at the bottom. Safety tested for ages 3. Spot clean with mild soap and water. Our Ron Weasley Costume Wand are a great accent to any costume. The Ron Weasley Costume Wand comes just like it is shown. Our Malfoy Costume Wand are a great accent to any costume. The Malfoy Costume Wand comes just like it is shown. Our Hermione Granger Costume Wand are a great accent to any costume. The Hermione Granger Costume Wand comes just like it is shown. Our Hedwig The Owl with Feathers from Harry Potter's Movie is great for any party, home or office decoration. The Hedwig The Owl with Feathers comes just like it is shown. Our Harry Potter Tie is great for any costume. The Harry Potter Scarf comes just like it is shown. You will be the talk of the party. Just don't forget to bring the glasses. Our Harry Potter Safety Decorative Lantern is great accent to any Costume or Play. The Harry Potter Safety Decorative Lantern is very light weight. Our Quidditch Costume Robe from Harry Potter comes in Small, Medium and Large in children sizes. Our Quidditch Costume Robe includes the robe with Potter and Quidditch number printed on back. This officially licensed scarf is made from lamb wool and features the Gryffindor Coat of Arms patch. Makes a great addition to any Harry Potter costume. 75" long. The Hogwarts scarf is made of lamb wool yarn and features the Hufflepuff House Coat of Arms patch. This officially licensed piece is a great addition to any Harry Potter ensemble. 75" long. The Hogwarts Black School Scarf is made from acrylic yarn and features the Hogwarts Coat of Arms patch and 4 stripes, one for each house color. This beanie is made from acrylic yarn and features the Slytherin House Coat of Arms patch. This officially licensed piece is a great addition to any Harry Potter ensemble. Our Harry Potter Quidditch Goggles are officially licensed Quidditch goggles from Harry Potter are handcrafted out of the finest materials with amazingly detailed golden snitch icons. In the What's a Christian to Do with Harry Potter? Book, few successes have equaled that of J. K. Rowling’s Harry Potter series, magical stories centered on one boy’s adventures at Hogwarts, a school for witchcraft and wizardry. The Sorcerer's Companion Book A Guide to the Magical World of Harry Potter, Third Edition, Written by Allan Zola and Elizabeth Kronzek. This hat is constructed of soft ultra-suede and features patchwork and contrasting stitching. The attention to detail makes a superb replica of the sorting hat from the Harry Potter movies. This puppet hat lets the puppeteer decide, Slytherin or Gryffindor! The Hogwarts Ravenclaw Beanie is made of acrylic and features the Ravenclaw House Coat of Arms patch. This officially licensed piece is a great addition to any Harry Potter ensemble. Oh you may not think I’m pretty, but don’t judge on what you see, I’ll eat myself if you can find a smarter hat than me. Witches and wizards the world across will love this officially licensed Harry Potter Sorting Hat. Made of high quality patchwork polyester and cotton.